The University of Illinois Springfield has always felt like home to Duane Willingham II. Now, he’s helping new students make the transition from high school to college. This summer, the Sociology/Anthropology major worked as a Student Orientation Coordinator, helping incoming freshmen learn about UIS and get ready for the school year. UIS was Willingham’s first choice for where he wanted to attend college. He fell in love with the campus after his first visit and has since recruited a few other students. Willingham is very involved on campus. He is the president of the Voices in Praise Gospel Choir and a member of the Christian Student Fellowship and the Black Male Collegiate Society. Following graduation, he’d like to work for a non-profit organization where he can continue to make a difference. “That’s what all my career goals are around, helping people,” he said. Karen Swan, the University of Illinois Springfield James J. Stukel Distinguished Professor of Educational Leadership, has been selected for the International Adult and Continuing Education Hall of Fame at the University of Oklahoma. She has received numerous awards, including the Burks Oakley II Distinguished Online Teaching Award from UIS in 2014 and the Columbia University Distinguished Alumni Award in 2010. 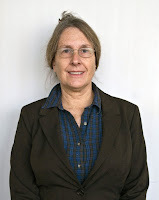 Swan was in inducted into the inaugural class of Online Learning Consortium (OLC) Fellows and in 2006 received the OLC Award for “Most Outstanding Achievement in Online Learning by an Individual.” The award recognized her for national innovation, research and service in online learning. Swan’s research is in the area of media, technology and learning on which she has authored over 150 publications, several hypermedia programs and two books and given over 300 presentations. Her current research interests center on online learning; in particular, the development of social presence and learning community in online and blended courses, online course design/redesign; MOOCs, and how taking online courses affects students’ retention and progression. Swan holds a Bachelor of Arts in Philosophy from the University of Connecticut, a Master’s of Education in Curriculum & Instruction from Keene State College, and a Master’s of Education and Doctorate of Education in Instructional Technology from Columbia University. She will be inducted during a special ceremony held in conjunction with the American Association for Adult Continuing Education’s 64th Annual Conference in Oklahoma City, November 18th. 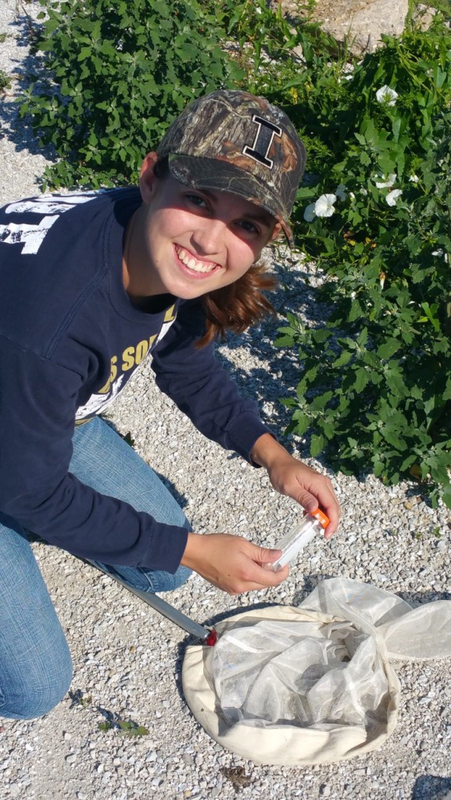 The Undergraduate Research Support Program at the University of Illinois Springfield has awarded its first Undergraduate Summer Scholar Award to Lauren Hollinshead, a senior biology major from Sherman, Ill. The award was made possible by gifts from the Alfred O. and Barbara Cordwell Therkildsen family. Hollinshead used the award to conduct research at the Nature Conservancy's Emiquon Preserve near Havana, Ill., location of the UIS Therkildsen Field Station. Her work contributed to the research of her mentor, UIS Assistant Professor of Chemistry Stephen Johnson, a neuropharmacologist who studies venom for its potential as a therapeutic drug. Through their research this summer, Hollinshead and Johnson investigated the structure and properties of sPLA2, an enzyme in bees and wasps. Johnson hopes the research will lead to a better understanding of the enzyme's role in pain and inflammation. Hollinshead and Johnson began by collecting bees and wasps at the Emiquon Preserve and then painstakingly extracted the tiny, fragile venom sacs from each insect. "That was the hardest part of my research," said Hollinshead, who admits to being frequently frustrated before she finished the task. With venom samples in hand, Hollinshead began the analysis that would eventually isolate a group of proteins with the right characteristics for producing sPLA2 activity. She used advanced techniques and instrumentation, such as the ultraviolet-visible spectrophotometer and SDS-PAGE, all of which she had learned to do during her undergraduate degree. At that point, Hollinshead had to stop because the next step, identifying the exact protein that gives rise to sPLA2 activity, would require the use of advanced techniques, including tandem mass spectrometry. "Dr. Johnson said it would take me a good ten years to learn how to use the mass spec properly," Hollinshead said, laughing a little. Undergraduate projects like Hollinshead's allow students to do real-life research, build a collegial relationship with a professor and begin to perceive of themselves as professionals. All this strengthens their commitment to their college education and gives them incredible confidence. UIS hopes to offer many more experiences like this in all fields to students. The work certainly inspired Hollinshead. She intends to eventually earn either a Ph.D. or go to medical school. For now, she's looking forward to more work with Johnson as she begins a master's degree in biology at UIS. "Dr. Johnson is amazing," Hollinshead said. "He really motivated me to pursue research even more." For more information on the Undergraduate Research Program, contact Keenan Dungey, director of the undergraduate research support program at 217/206-7345 or kdung1@uis.edu. For more information on the venom research, contact Stephen Johnson at 217/206-7336 or srj@uis.edu.